Do you have photos, historical accounts or other items pertaining to the Bellingham area? Would you like to share this historical information with the world? LakesnWoods.com would like to publish your Bellingham photos (current or historical) or historical accounts on this website. Original materials can be returned and your privacy will be respected. 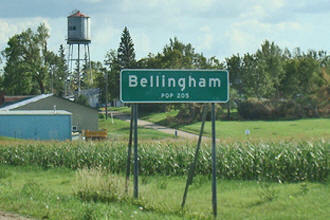 Bellingham is a city in Lac qui Parle County, Minnesota. 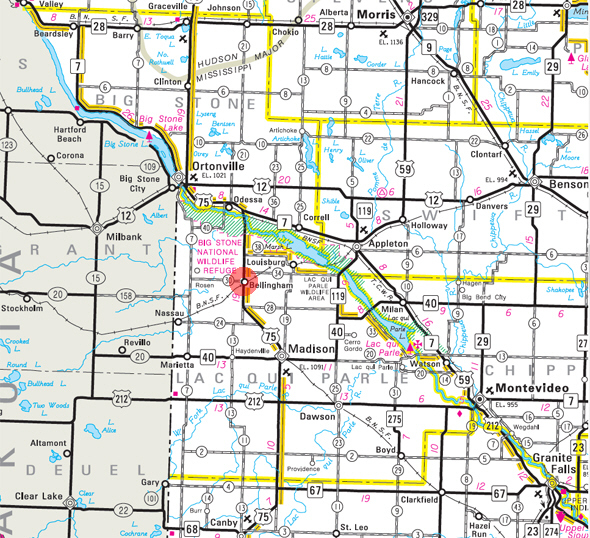 US Highway 75 and County Road 30 are major routes in the community. According to the United States Census Bureau, the city has a total area of 0.40 square miles (1.04 km2), all of it land. The elevation is 1,050 ft (320 m). As of the census of 2010, there were 168 people, 82 households, and 52 families residing in the city. The population density was 420.0 inhabitants per square mile (162.2/km2). There were 106 housing units at an average density of 265.0 per square mile (102.3/km2). The racial makeup of the city was 100.0% White. Hispanic or Latino of any race were 1.2% of the population. There were 82 households of which 18.3% had children under the age of 18 living with them, 50.0% were married couples living together, 4.9% had a female householder with no husband present, 8.5% had a male householder with no wife present, and 36.6% were non-families. 31.7% of all households were made up of individuals and 15.9% had someone living alone who was 65 years of age or older. The average household size was 2.05 and the average family size was 2.50. The median age in the city was 53.8 years. 16.7% of residents were under the age of 18; 4.9% were between the ages of 18 and 24; 13.8% were from 25 to 44; 35.6% were from 45 to 64; and 29.2% were 65 years of age or older. The gender makeup of the city was 51.8% male and 48.2% female. 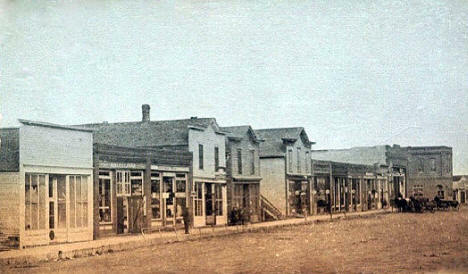 BELLINGHAM, a city in Perry Township, sections 3, 4, 9, and 10, incorporated as a village on May 5, 1890, and platted by the owners, William R. and Mary P. Thomas and Robert and Phebe (Morse) Bellingham (d. 1889). The county newspaper first suggested the name Perry after its township name, but Phebe (Morse) Bellingham named it for her father-in-law, Charles Thomas Saker Bellingham (b. 1823, England; d. 1905, Bellingham), the patriarch of the large Bellingham family (seven sons, one daughter), who lived in the area. The Great Northern Railway came in 1887, and the depot was built in 1888. Banker Hans M. Hagestead was the first postmaster when the post office opened in 1887, and he later was township manager and brought the newspaper to the village in 1891. Mayor 12/31/2020 Randy Larson Jr. Farmers Mutual Telephone Company provides reliable and affordable communications services to meet the needs of our members and subscribers while offering employees fulfilling careers. 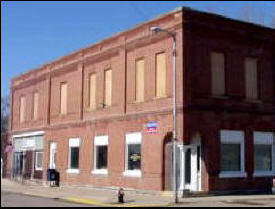 The Stolpman family has been insuring this area since 1932. Today insurance can be confusing. We are ready to help make it simple. We have many, many years of experience behind us, and we will use that to help you whenever you need us! When you call, you will receive the personal attention that you want. You are a valued customer, not an "account number." You are a familiar face, a valued friend, and a neighbor. The "800" number insurance companies can never care for you like your local agent can. We will be there for you personally when you need us most!